The all new Speedo Surfwalker Pro Mesh Kids is tailor made for your child's on the go lifestyle. Quick slip on function keeps up with all the action both in and out of the pool. With revolutionary mesh construction, your young swimmer will not be weight down when jumping in and out of the pool and a protective bottom sole keeps rough textures from scratching at exposed skin. 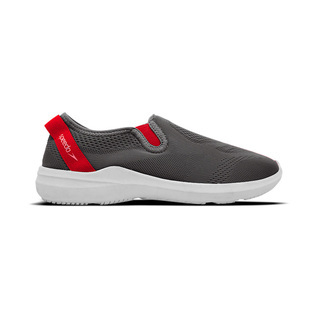 Bullet points alone aren't enough to make a product great, take one look at this stylish shoe and it speaks for itself.